As a successful owner of a car wash business, you’ve likely been making do with the same car wash equipment for years on end. Squeezing as much productivity as possible from your equipment. When it’s time to upgrade your car wash equipment, instead of scrapping the whole system, you can retrofit your facilities. This way you’ll make the most out of what you already have. When equipment breaks down, it’s in your best interest to fix or replace the needed hardware. However, there are other reasons that you may wish to consider when making the decision to retrofit your wash.
Issues such as excessive repair costs, too much down-time, labor costs and large line-ups can add up quickly. All draining the profit from your car wash business. Even if your wash doesn’t suffer from this issue, investing in a retrofit can increase revenue. You can increase the amount of vehicles you’re able to process and diversifying the amount of add-ons. This enable better upselling of services. New technology frequently offers innovation that improves the efficiency and visibility of your car wash. This allows to tout systems that are more eco-friendly and advanced compared to competitors. You’ll see that a wide variety of upgrades may be applied to your current car wash business through a variety of purchasing methods. First of all, car wash upgrades may be leased instead of purchased, allowing you to spread out the costs of the retrofit over time rather than sinking a large amount of capital into the project. Leasing also gives you a chance to test the new equipment before making a decision to purchase the hardware. Also, leasing allows you to continually swap out inefficient processes in favor of brand-new equipment. The change in hardware can include accessories such as brushes and more eco-friendly cleaning chemicals. Larger retrofits include swapping out entire systems, such as automated waxing and drying. In order to make specific processes more efficient. Retrofits also include the signage that your business uses to attract customers as well as other non-washing concerns such as the look of your car wash. If your wash features pavement with potholes or a comprehensive set of stains that darken the interior of your facilities, customer are less likely to choose your wash to clean their vehicle. 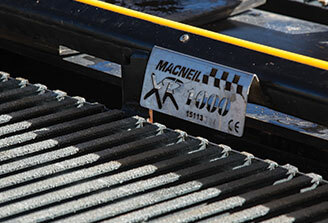 MacNeil provides a variety of options when it comes to retrofitting car wash equipment. For over 30 years MacNeil Wash Systems has provided superior car wash equipment to the tunnel car wash industry, automotive dealers, fleet and rental markets. Contact us to learn more about our car wash equipment.